In the first part of an exclusive two part series, Craig Thomson opens up to managing editor David Donovan about Australian democracy, the Labor Party and why he decided to stand for re-election as an Independent. WHEN THE CRAIG THOMSON affair exploded into the public spotlight last year, with salacious tales of trips to brothels on union credit cards, I recall thinking that he held himself with a quiet dignity as the press pack hounded him through Parliament with shutters clicking, bellowing questions. Something seemed not quite right about the allegations from the beginning. Perhaps it was the way his main accuser, Kathy Jackson, held herself in front of camera — with her eyes darting about and stumbling over her words, looking fearful and ill at ease. Perhaps it was the fact that no-one in the media had suggested for an instant there could possibly have been another side to Thomson’s tale — IA has, after all, made its mark by looking all around when most of the Australian media were staring fixedly at one small spot. I smelt a rat, just as I did when the allegations against Peter Slipper were first aired. Of course, so did others, including star blogger Peter Wicks. When Peter came to me in mid-May 2012, with a story combining the Slipper affair with the Kathy Jackson / Michael Lawler / Tony Abbott connection, I told him to focus on Jackson, and leave Ashbygate to me. After a rewrite, Peter put together his first gripping tale of intrigue and Coalition plotting: How the HSU tangled Jackson Lawler and Thomson with Abbott. It instantly set social media circles ablaze and set off a saga of over 50 investigative stories – the Jacksonville canon ‒ that Wicksy will one day, I'm sure, turn into a book. It is the side of the story that, although supported by reams of verifiable documentary evidence, the mainstream media has almost entirely refused to reveal to the public. In the eyes of the old media, Thomson is simply a villain — despite the evidence against him progressively collapsing. The now utterly discredited Fair Work Australia report contained fraud allegations of over $800,000, but which resulted in only about $26,000 worth of charges by Victorian Police — most relating to expenses that would appear to be entirely within the scope of his Health Services Union responsibilities. Thomson is set to face court again later this month, where he hopes to have the case heard summarily by a magistrate and quashed. After being suspended from the Labor Party by Julia Gillard last year, Craig Thomson now sits in the Federal Parliament as an Independent. Recently he decided to resign from the Labor Party and, surprising some, decided to stand again for his Central Coast seat of Dobell as an Independent. 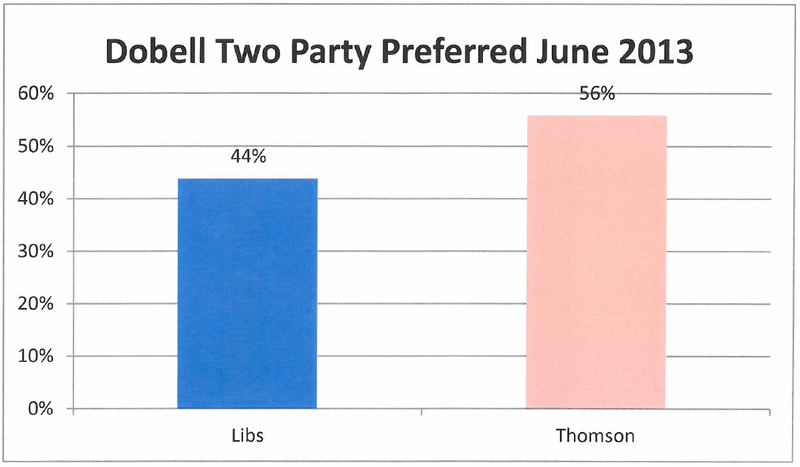 Even more surprising, again for some – as reported by the Daily Telegraph yesterday – private polling has Thomson well on track to retain Dobell, with the two party preferred vote sitting now at a comfortable 56-44 in his favour. Independent Australia supports Independent non-partisan politics, and as part of our series on prominent Independents, I spoke to Craig Thomson last Friday afternoon. We spoke for about an hour and discussed a wide range of topics; the first part of the interview is below. It was the first time I had spoken to Craig Thomson. I came away impressed by this man’s sincerity, civic-mindedness, decency and strong intelligence. It must be said, IA has never uncovered any evidence in all its thousands of hours of investigations to suggest Thomson has done anything untoward. I may be proven wrong, but I would be surprised if Craig Thomson is guilty of anything other than a little naiveté about the depths some people will plunge to achieve their own selfish ends via grubby gutter politics. 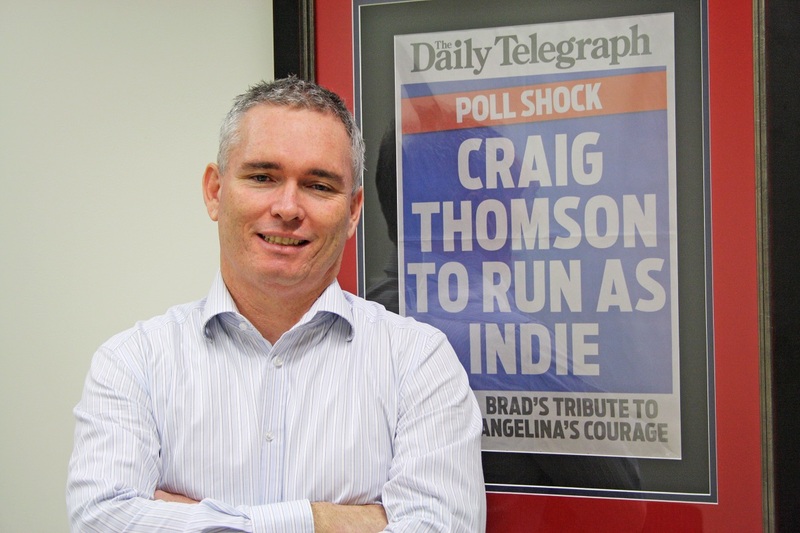 To start the ball rolling, I ask Craig Thomson why he had decided to stand as an Independent. He says it was for a variety of reasons, one of them being the fact that it would enable him to focus more on the electorate. Also because the Labor Party had shifted to the right, in his eyes. He also mentions that, on a few local matters, such as a coal mine that is to be built within water catchment areas, he has found it hard to get the Party to support his campaigns, and so thought it was better to stand as an Independent. I ask him why he felt Australian politics had become more conservative. "Globally ‒ and its probably worse in Australia ‒ politics has become very personal and nasty and so parties have decided to play it safe and stay away from progressive policies. Things that only a few years ago were regarded as central are now seen as left of centre." He notes that he was one of only seven or eight parliamentarians who had voted against Australia being taken out of its own migration exclusion zone. In Parliament, he was able to quote back comments from Chris Bowen and Tony Burke decrying an almost identical bill put forward by the Howard Government in only a few years before. The move to the centre has not served Labor well, according to Thomson. The Party has moved to the centre after “a brutal mainstream media attack” on progressive issues, such as gay marriage, which has eroded its base. “There is another policy that I would have thought would be a no-brainer for the Labor Party and that’s gay marriage. We seem to have struggled with that. I’m glad with the return of Rudd that he has changed his view on this matter while sitting on the backbench. I ask whether Labor’s lurch to the right was the result of poll driven politics? I suggest Keating as a long-term visionary, and Thomson agrees, though he immediately also includes Hawke in the same category, saying their era had to be looked at as one. “They had a broader vision than just getting some soundbites on the 6pm news," he says. He then softens this comment on the current Labor regime, saying the national disability insurance scheme does, indeed, have long-term vision elements to it. I suggest that the education reforms also might fall into that class, but Thomson disagrees, saying it has some problems. He says he is a big fan of the disability scheme, but suggests including dental as part of Medicare, which the architects of Medicare always intended, may arguably be a higher priority for the population as a whole. Is there is much of a difference between being an Independent and being a party member, I ask Thomson. He says there is and the first difference is that he now has an exclusive electorate focus, rather than also needing to consider the Party's wishes. “One of the things that you can do as an Independent is vote according to your conscience to get the right outcome,” he says. But there are other advantages, he says — an Independent has powers not available to other MP's even outside of a hung Parliament . “Independents can also raise issues. If we get back to a normal Parliament, a majority Parliament, Independents can bring forward issues that may not be possible for a Party MP. For example, with coal seam gas, there are issues around there that may be raised by an Independent in the next sitting of Parliament, which then in the subsequent debate may be supported by one of the major parties. "So there are opportunities for Independents even in a majority Parliament, let alone the situation we have at the moment with a hung parliament. “Most two party systems around the world give more freedom to their MPs than the Labor Party. I understand the reason for the discipline historically, but we’re a different country now. I think there is a definite argument for allowing MPs from the same party with different legitimate views on the same topic to vote different ways. I believe it would free up debate and make it less partisan than it is now. Thomson suggests that relaxing party discipline might open up the Parties to people from more diverse backgrounds and “add to the gene pool”. He tells me that, at the moment, most Party candidates comes from very narrow backgrounds. “There’s a problem with both parties being full of people who have law degrees or a legal background, party staffers, union officials with the Labor side and employer organisations from the Liberal side. There’s not a lot of butchers, bakers and candlestick makers. 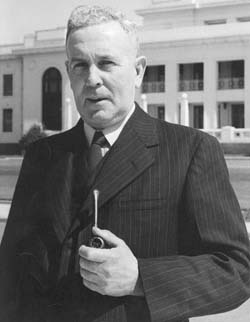 There’s not a lot of train drivers like Ben Chifley there any more. Thomson says that allowing people the freedom to vote against party lines would help make Parliament less adversarial, which could also attract a wider range of candidates. I mention the duality of parliament makes it sometimes seem like a high school debating tournament. Tomorrow, we will publish Part 2 of Craig Thomson's interview with David Donovan, where he discusses the shocking treatment of Julia Gillard, the dangers of Tony Abbott, the decline of old media and his position on media reform, his take on Kate McClymont’s vendetta against him, as well as Kathy Jackson's and IA’s controversial bid for a seat in Canberra's Press Gallery.